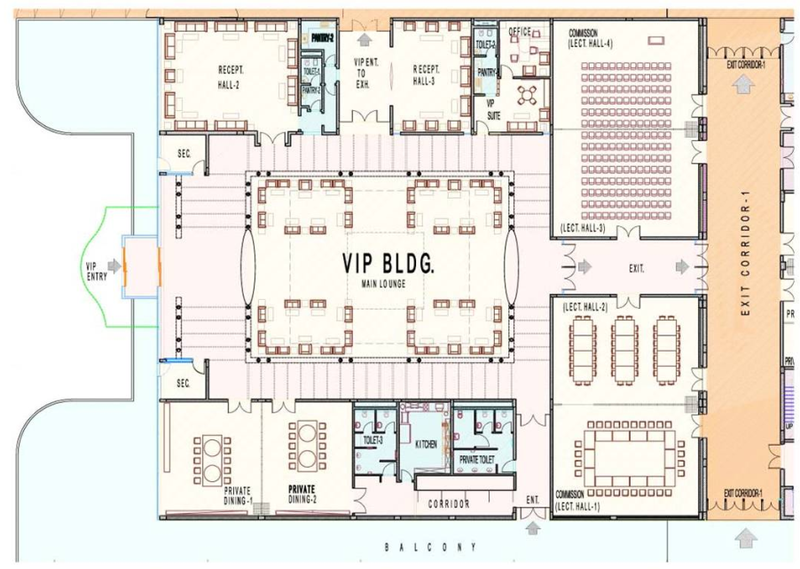 The VIP building with an area of 1,600m² (17217F²) provides reception, meeting guest facilities for VIPs and visiting dignitaries. VIP’s building also incorporates a no. of Halls for; private reception, meetings, dining rooms & kitchen and offices for protocol, security officials and other administrative facilities.